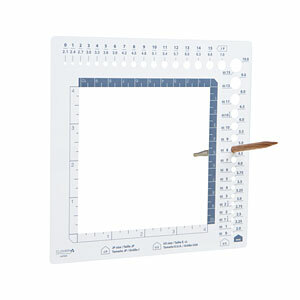 Check your needle or hook size and measure your gauge or stitches with ease. 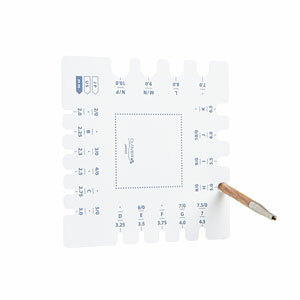 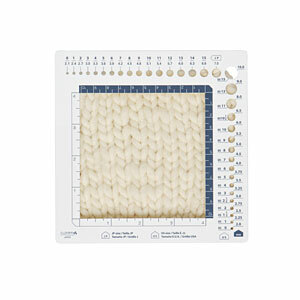 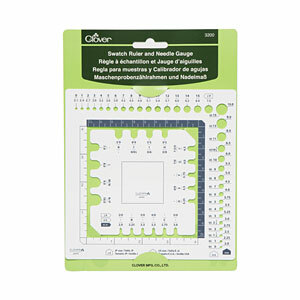 This handy tool set features a generous 4 in (10 cm) gauge window to allow you to isolate your swatch easily. 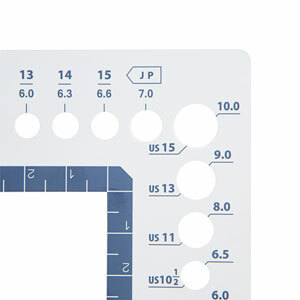 Crochet hook and knitting needle sizing is listed in US, metric, and Japanese standard sizes.